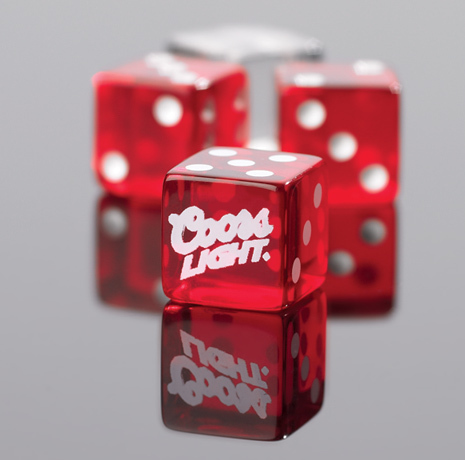 Our 5/8" Custom Board Game Size Dice feature your one- to full color logo on any or all sides of the dice. Print pictures, words/phrases, numbers, shapes, spots, or any image that you choose! Made of a durable urea plastic, these Transparent Custom Dice come in your choice of Transparent Blue, Clear, Green, or Red. Branded, Customized 5/8" Transparent Dice are Game Board Size, and they are our most economical option for Custom Transparent Dice.